Bench power supplies aren’t really pieces of kit that get your pulse racing, they just sit there doing their job, in some cases giving gentle background heating to keep the lab warm in the winter and providing enough ballast to stop your bench wobbling about too much. The traditional bench top power supply always came with a sturdy handle on the top to give you a clue that inside is some serious ironwork and that this beast is going to be heavy. But that was all yesterday; buy a power supply today and it doesn’t look much different from any other piece of test gear; covered in buttons with a TFT display and the chances are you can wrap your hand around it and pick it up one-handed. 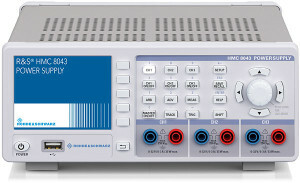 That’s true of the HMC8043 three channel 100-watt bench power supply from Rohde & Schwarz I received for reviewing. The front panel layout is restrained and efficient, consistent with their current compact range of test equipment; users of the HMC8012 multimeter will be familiar with the almost identical layout. The output terminals along the front panel do not include an Earth post. Setting up the functions via the front panel buttons and bright TFT display is fairly intuitive and did not require too much recourse to the operator’s manual. Voltage designations on German equipment often use capital U instead of V. This indicates ‘difference’ and is best taken to mean Potential Difference (PD) which is a voltage difference not referenced to ground potential. 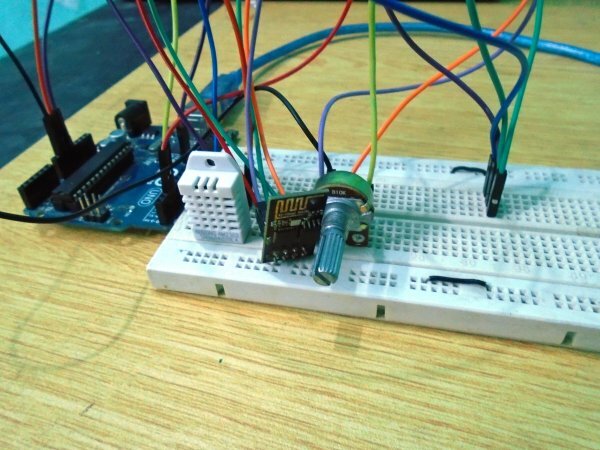 Most power supplies don’t differentiate between PD and V but technically PD is more accurate and underlines the fact that the outputs of the HMC8043 are fully floating and can withstand a common mode voltage of up to 250 V.